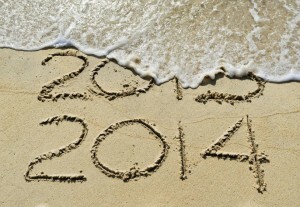 What Do Legal Experts Predict for 2014? 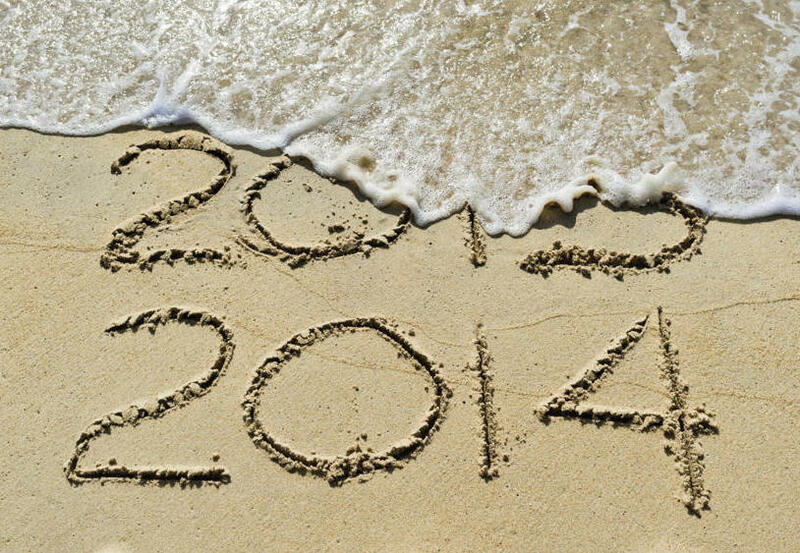 What do the experts predict for the legal industry in 2014? The Make More Rain Blog polled legal technology experts, including Lee Rosen, Sam Glover, Rick Georges, Larry Bodine, and Jeffrey Brandt to get their thoughts on what to expect in the coming year. Some of the other contributors’ predictions were very thought-provoking, particularly Lee Rosen’s (“2014 will bring a bigger gap between winners and losers”) and Sam Glover’s (stressing the importance of lawyers focusing on their professional obligations). I have tremendous respect for Lee and Sam, and I thought their predictions were fascinating and their rationales for same. Check it out for yourself at the link below. Source: “21 Expert Predictions For The Legal Industry In 2014” by Frank Strong, published at the LexisNexis Make More Rain Blog. The number of attorneys using Macs has dramatically increased over the last several years. Scan the room at any continuing legal education seminar and you will see glowing Apples everywhere. I attribute this due to a combination of several factors: (1) the residual “gateway drug effect” from the iPhone/iPad invasion; (2) the ever-increasing number of programs/apps available on Macs; and (3) lawyers realizing the many benefits that Macs offer compared to PCs. The Macs in Law Offices (MILO) legal technology forum was created in February 2007 by Ben Stevens and Grant Griffiths to enable attorneys, software developers, consultants, and other experts to discuss and share the best ways to use Macs in the practice of law. Since that time, it has become the largest forum of its kind, with well over 4,300 members – and best of all, it’s free. MILO’s membership roster reads like a virtual who’s who of legal technology, and there’s rarely a question asked that can’t be answered. The Missing Manual books are generally considered to be the best in class, and Switching to the Mac by David Pogue is incredibly helpful, well written, and easy to follow (even for technophobic lawyers). It walks readers through the conversion process step-by-step, carefully and thoroughly explaining the differences between PCs and Macs, how to transfer your files, the best way to run Windows programs on your Mac, and other helpful topics. In my opinion, this book is a must have for those making the switch, and it will prove helpful later as a handy resource if questions arise. Apple has produced a series of helpful videos on a wide variety of topics, including Mac OS X: PC to Mac – The Basics. This video runs just over six minutes, and it explains some of the differences between working in Windows and working in OS X. If you want to go deeper, Lynda.com offers a four hour video course, Switching from Windows to Mac by David Rivers, which thoroughly examines the similarities and differences between the two systems, including the operating system, hardware, and even some applications. The Mac Lawyer blog was the first legal technology blog specifically devoted to using Macs in a law practice. One of its primary goals is helping both new converts and longtime users get the most out of technology in their law practices. First published by Ben Stevens in August of 2006, it now contains almost 700 articles on a variety of topics, including a section on Switching to Macs, and its archives are searchable. You can also follow Ben’s thoughts on technology and other issues on Twitter at @TheMacLawyer. 2008 marked the first year of the Mac Track at ABA TECHSHOW, the world’s largest legal technology conference, which is held each Spring in Chicago. This conference features noted speakers and experts from all across the country, from large firms to small firms to everything in between. The Mac Track usually includes a few sessions aimed at switchers or recent converts. You can view the upcoming year’s schedule here. Another popular conference is MiloFest, which is held each Fall in Orlando, FL, though it tends to be aimed at more experienced users. 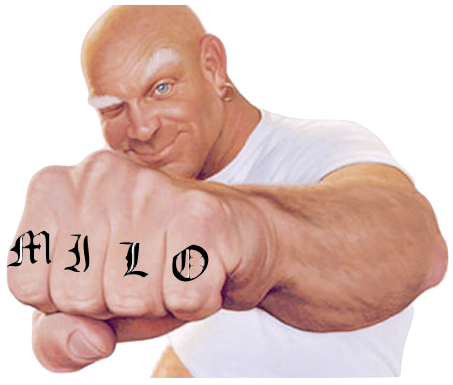 The Macs In Law Offices (MILO) forum is (by far) the largest legal technology forum for Mac-using attorneys. Since its inception over six years ago, it has become the premier source for lawyers who want to maximize the use of Macs in their law practices. As of today, MILO has well over 4,100 members, with more joining every day. Its membership roster reads like a virtual who’s who of legal technology, from attorneys to software developers to everyone in between. If you are not yet a member, you can take advantage of this free resource by clicking HERE. “The Fine Art of Practicing Law on a Mac“, the article that Randy Juip and I published in the March/April 2012 issue of Law Practice Magazine, was recently honored by that publication as one of its Best of 2012. In our article, we discussed the hardware and software options available to run a law office on a Mac – whether in the office, on the road, or in the courtroom. Randy is one of the leading authorities on legal technology, and it is always a great pleasure to write or present with him. If you haven’t yet read our article, check it out here. I bought my new 13′ MacBook Air three weeks ago at a local Apple Store. I opted for the higher end 2.13 GHz processor and 4GB of memory. I also purchased trial presentation software called TrialSmart made by Clarity Legal Software. In order to display in high definition, I picked up a DVI connector and long HDMI cable. Out of the box, everything worked perfectly. In no time at all, I was able to load exhibits (mostly pdf’s) into the software and present them on our HD display. TrialSmart is simple to learn, and it’s incredibly easy to mark-up and call out portions of exhibits on the fly. I had Clarity Legal synchronize a video deposition to its transcript, which they returned in less than a day at minimal cost. I simply put the transcript (.ptx) and video (.mpg) into the public folder of my Dropbox, and Clarity synched everything up and emailed back a synch file to load into TrialSmart. Once the synchronized transcript was loaded into TrialSmart, I was able to easily create video clips for impeachment use and strings of clips for a video deposition offer. When a video clip is called up for presentation, the screen shows the witness testifying with the synced transcript scrolling directly beneath the witness. I have to tell you, the MacBook Air and TrialSmart combo works very well. I had a chance to try the new system out last week in mediation. Using my trusty Rubbermaid utility cart, I was able to haul a 40” monitor, case file and backpack containing the MacBook Air and cables to the mediator’s office. Setup was super easy, consisting of connecting a mini display adapter to an HDMI cable and then plugging it into the monitor positioned at the end of a conference table. The MBA immediately recognized the monitor as a secondary display. During mediation, I was able to seamlessly switch between Keynote and TrialSmart. With a few clicks of the magic mouse, I presented and marked-up emails and medical records while making points during the opening session. The ability to zoom in within a document and underline text using TrialSmart’s annotation tools was especially effective. I didn’t have a chance to use video clips at mediation, but intend to do so next week when presenting testimony at a hearing. I’ve practiced playing back impeachment clips enough now that I feel comfortable in my ability to pull up and present video excerpts. Because creating new video clips is as easy as highlighting text on the transcript, I’ll be able to create impeachment clips on the fly. This setup is so simple, I’m confident I’ll have no problem operating everything by myself while examining witnesses. We use PC’s in the office, but have considered going all Mac when it’s time to replace our existing system. For now, the purchase of the MacBook Air is a great start toward the goal of switching to an all Mac office. The MBA is particularly well suited for trial and mediation presentation, so even in an all PC office, this laptop would be an excellent addition to your trial arsenal. Because I’ve found TrialSmart to be easy to learn and dead simple to operate, I’m confident I can use this setup by myself during mediation or while questioning witnesses at trial. It was easy to immediately put the MBA to work in my practice in an effective and practical way. So far, I really love this laptop. Handling wrongful death, serious personal injury, auto and trucking accidents, divorce, custody and general civil litigation in the Houston and Sugar Land, Texas region. John Millard is Board Certified in Personal Injury Trial Law by the Texas Board of Legal Specialization. I’m a solo lawyer handling mostly divorce, custody and car wreck cases. I need the ability to quickly and easily present exhibits and video clips on a court projector or our 40” HD flat panel monitor. I’ve tried Windows trial presentation software before, but it was so complicated, I had zero confidence I’d ever be able to operate it by myself. I’m in court a lot and rarely have the luxury of an assistant. Typically, it’s just me and a client, so I require a system that’s both portable and simple to use. When the revamped MacBook Air debuted this month, I decided it was time to pull the trigger on a new system. The MacBook Air is a bit slippery to handle, so caution needs to be exercised if walking around with it. Even though it has an aluminum case, if it were dropped it would likely sustain serious damage (but I guess that’s true of most laptops). I bought a sleeve to give my MBA extra protection while carrying it in my backpack. I bought the MBA for the specific purpose of trial and mediation presentation. For that limited purpose, it works exceptionally well. However, I’ve really enjoyed using it around the house (specifically, in bed) for general web surfing and working at home. I really like the iWork package. In fact, I typed up this post using Pages, which is an excellent word processor. Description: More attorneys are turning to a MAC instead of a PC for their office needs and want to know more about the critical tools for their practice. On this edition of The Un-Billable Hour, host Attorney Rodney Dowell, Director of the Massachusetts Law Office Management Assistance Program, chats with Ben Stevens, from The Stevens Firm, P.A. and a blogger at the MacLawyer, to talk about using a Macintosh computer in your law office. Rodney and Ben look at the rise in popularity of the Mac in the legal community, how to set up a Mac office and the key software and hardware to make it run efficiently. Apple products have developed, over several decades, a reputation for being particularly expensive when compared to non-Apple systems. While this may be partially true, even now, there are many benefits to purchasing Apple computers that don’t necessarily make themselves clear until several months, or several years, after you purchase one. For example, Mac OS X has far fewer security vulnerabilities than Windows-based systems. Because Apple’s market share is still considerably lower than Microsoft‘s, and because OS X is based on BSD, an outgrowth of Unix, vulnerabilities are revealed far less frequently and their consequences are far less dire; there has never been anything as troublesome as the major Windows-based worms (like Blaster or Sasser) released to bring down Macs. When a vulnerability is discovered, patches often see release very quickly and get delivered via automatic updates to ensure that systems are not brought down. Additionally, AppleCare is a great value. Though the initial cost adds several hundred dollars within a year of purchase to the system, it extends your warranty to three years for both telephone support and hardware repairs, which would otherwise cost several hundreds of dollars. Failed display panels and motherboards can cost $600-800 out of warranty, but with AppleCare, those or any other hardware issues will be replaced within days of reporting the problem to Apple’s support, which is almost always fast and easy to work with. Upgrading Mac OS X is also strikingly inexpensive. Compared to new versions of Windows, which often go for hundreds of dollars and require tedious activation processes upon changing hardware, OS X upgrades cost between $30 and $100 and have no tedious security systems to inconvenience you upon completing what’s already been a tedious hardware or software upgrade. If, several years down the line, you need to perform a reinstall, you won’t need to contact anyone to finalize it. However, if you need to run Windows applications — or applications on almost any PC-based operating system — you have many ways to run them, making it easy to play games that require Windows to run or operate software that needs a specific hardware configuration. 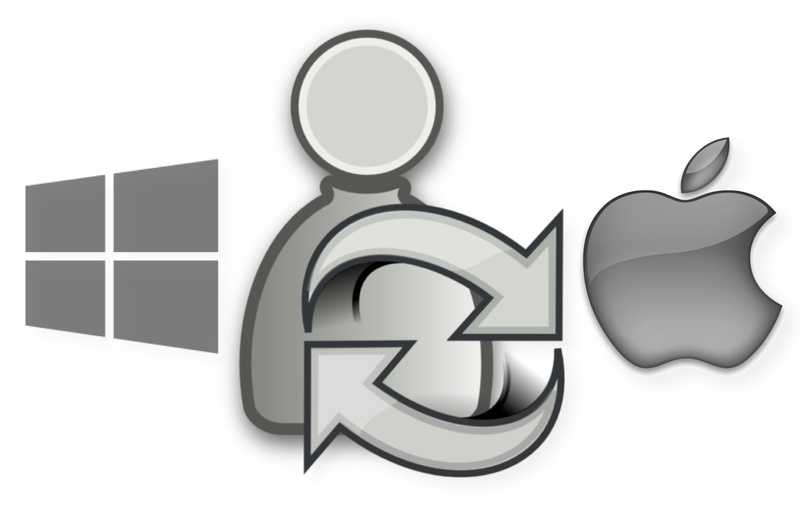 By using Wine or its professional cousin CrossOver, you can run almost any Windows application through emulation within Mac OS X. If, for some reason, this doesn’t work, you can use applications like VMWare Fusion or Parallels Desktop to run almost any OS as a virtual machine, which will emulate every aspect of the operating system in a perfect reproduction. If you either need to test Windows-based software or run a business application with no Mac OS-based counterpart, this will almost definitely take care of any problems you would otherwise struggle with. This does come with a reduction in overall system speed, though; to sidestep this, you can run Windows XP, Windows Vista, or Windows 7 in Boot Camp, turning your Intel-based Mac into a computer capable of dual-booting operating systems. If, for example, you regularly play Windows-based games, you will likely need to do this. Regardless, the stereotype from the 1990s and 2000s that Macs have no software is almost totally incorrect in 2010. The best thing about Macs as an investment, however, is the fact that the computers retain their value unbelievably well compared to PCs. Whereas even high-end PCs are often rendered almost valueless within a few years, many Macs, especially Mac laptops, will still be worth at least a third of their initial value several years later, making it easy to resell a functional system and easy to turn a profit on parts from one no longer working for users and third-party repair groups. Andrew Hall is a guest blogger for My Dog Ate My Blog. Episode 18 of the MILO Chat Weekly podcast – “iPad, New iPhone and Randy Juip” – is now live and ready for your enjoyment. In this episode, your hosts Ben Stevens and Finis Price discuss the new iPhone, the iPad and our guest Randy Juip’s conversion of his law firm to Macs.